Details — if you ignore them, they cost you fish. Slowing down lure presentation, checking line and sharpening hooks are obvious details every angler needs to work into his or her fishing program. Here’s a sample of the basic-, intermediate- and expert-level pointers that’ll make you a better bass angler. • When fishing soft-plastic lures, don’t just peg your weight, peg the worm or lizard, too. Push a toothpick through the head of the worm or lizard, through the eye of the hook and out the other side of the plastic lure. Snip away the excess toothpick with a pair of clippers. The toothpick keeps the lizard or worm from slipping down on the hook and increases your odds of hooking up. Use flat toothpicks rather than round ones. The corners on a flat toothpick hold against the round eye on the hook better. • Match your rod to your lure, the fish and structure you’re targeting. For instance, when you’re using lures with treble hooks such as jerkbaits, Zara Spooks or Pop-Rs, use a limber rod. The give in a limber rod prevents fish from using the hooks against you to pull free. At hookset, the more limber rod also lessens the chances of your pulling the lure from the bass’ mouth. • Utilize longer rods when fishing heavy cover such as hydrilla and milfoil. A longer rod gives you better leverage on your lure when you’re working baits in pockets. By simply lifting the rod tip, you can work the lure up and down in a pocket and pick the lure up and out of the hole. • Make sure you have enough line on your reel spool. If you’re planning to make 100 casts during a day and you don’t have enough line on your spool, you’ll strain all day trying to heave your lures. A full spool allows you to cast comfortably and with far less effort. • When using topwater lures don’t set the hook too quickly Many anglers have a tendency to set the hook when they see the fish roll on the lure rathei than wait until they feel the Weight of the fish on the line. A premature hookset pulls the lure away from the fish. • When crawling soft-plastic lures along the bottom, set the hook on the first tap. The first tap you feel usually is the bass inhaling the worm. If you wait until you feel the follow-up taps, the fish is either crushing the bait in its mouth or blowing the lure out. Usually the hookset will be too late. When swimming soft-plastics, though, wait to set the hook. Count to three. A bass won’t hit a swimming lure as precisely as it hits a lure that’s somewhat stationary in the water. Give the fish time to get the worm in its mouth. • When targeting floating docks, you can reach fish other anglers miss. Make a long cast along the side of the dock. Disengage the reel’s spool and drop the rod tip underwater. Use your trolling motor to maneuver your boat across the front of the dock while letting line off the reel and keeping the rod tip as deep as possible. Once on the opposite side of the dock, begin reeling and work the bait diagonally underneath the dock. In this manner you present your lure to fish suspended under the center of the dock. • Keep tackle organized to reduce rigging time. Organize tackle seasonally and take only what you need. Moments spent looking for lures, hooks or sinkers when fish are active may mean missing a big part of the action. • Slow your boat down when looking over a piece of structure with your electronics. If you move too quickly, the picture you see is condensed, and you lose detail. Idle over the structure and make a number of passes. • When Carolina-rig fishing, use a sweeping hookset. With 18 inches to 3 feet of leader line behind a heavy sinker, there’s a V in the line. If you snap the hookset as you do with a Texas rig, all you do is pop the sinker off the bottom. The sinker absorbs the force of the hookset. When you sweep the hookset using a long rod, you pull the whole rig, steadily increasing pressure and embedding the hook in the fish’s mouth. • If a bass misses your buzzbait, don’t panic. Simply drop the rod tip and let the buzzbait flutter. Often, the bass hammers the bait as it falls. Bass will even pick a buzzbait off the bottom. When you see your line move, set the hook. • If you hook up in cover and the fish tangles the line on brush or tree limbs, release the tension on your line. Let out some slack. Often bass have an uncanny way of maneuvering themselves and your line free from cover. • After setting the hook on a big fish, disengage the spool on your baitcasting reel and thumb the line to create drag. This allows you to adjust drag on the fish at critical moments rather than count on a steady-pressure, preset drag system. If a bass heads for cover, where it almost certainly will break off, additional pressure from the thumb can keep the fish out of the cover. You might break the line with the additional pressure, but it’s possible you may not. Use caution when you disengage the spool. If there’s a lot of pressure on the reel and you disengage the drag without putting equal pressure on the spool with your thumb, the reel will backlash and the line will break. • Use your trolling motor to increase the length of your cast when fishing small- to medium-sized crank-baits over deepwater humps. A longer cast allows you to get the lure deeper and cover a wider area of the structure. Position your boat over the hump. Cast away from the hump and disengage the reel spool. Troll in the opposite direction of your cast, over and past the structure, allowing line to free-spool off the reel. Once past the structure, let off the trolling motor, engage your spool and begin the retrieve. • When fishing clear water, make a 1/2-inch wide band across the line on your reel with a black, blue or dark green permanent ink marker. When the line comes off the reel, you’ll see a dark spot on the line about every 3 inches. The dark spot breaks up the image of the line underwater, camouflaging it. • If you start catching fish when .targeting shoreline cover, don’t overlook the bottom habitat. Determine if the bottom is mud, rock, gravel, etc. Each time you move to another area, duplicate the combination of cover and bottom. You may catch bass off willows in mud bottom, yet not find the fish directly across the cove in willows over a gravel bottom. Use a rod tip, oar or net handle to feel the bottom if you can’t see it. 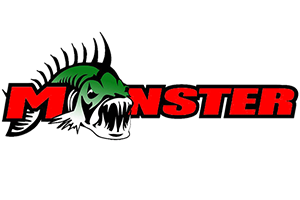 • Don’t fall for the misconception that reeling fast keeps crankbaits deep. Slow cranking causes crankbaits to travel deep. The key is a long cast. Many anglers reel their crankbaits too fast, especially if they’re not catching fish. Make longer casts and reel slower to keep the lures deep and in contact with the structure. • When rigging soft-plastic baits, skin hook the worm or lizard rather than hooking it through the fat plastic part of the body. After pushing the hook through the head of the lure, turn the hook and embed the point just under the plastic on the side of the worm. When a bass strikes, the plastic easily tears away from the hook point, which allows you a better opportunity to set the hook. 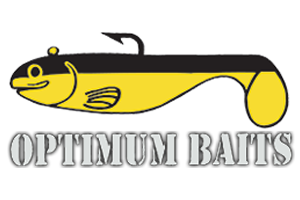 • In live-bait angling, keep the bait active and use a small hook. Large hooks tire baitfish quickly and are not needed to catch large fish. Use the smallest hook possible for the species you are fishing for. • Place only one brushpile at a site rather than numerous piles. Forage fish and bass form into groups at one good-sized, well-positioned brushpile. Numerous brushpiles in one area scatter the fish over the region. • When you catch a fish over open-water structure, drop a buoy immediately. Work the area around the buoy from several different directions to determine whether the fish bite better when you present lures from one direction over another. Too few anglers do this. They mistakenly assume the presentation they made to their first fish is most productive. • Make a mental note of where your lure meets the fish when you hook up. Was the bottom smooth? Was a rough spot, the lip of a drop-off or gravel present’ Was the lure on the downstream or shady side of the stump? These observations are the key to patterning bass and catching more fish. • Patterning is more than finding fish on a particular type of cover or structure or at a certain depth. It’s pinpointing or narrowing your focus based upon a number of observations. For instance, you might begin catching fish on fallen trees, then realize the bass on fallen trees are on southern facing shorelines. Then you may determine the bass are more specifically located on fallen trees, on . southern facing shorelines, near deepwater areas. Continually refine the pattern until you pinpoint the fish. • If a hydrographic map of the water you’re fishing is available, study it carefully and carry it with you. Maps help you to find similar structure once you’ve patterned the bass. • Note carefully what you did to entice a strike. Twitching, jigging, dragging, pausing — they’re all subtle changes in a retrieve that make a big difference in the end result. Concentration catches more fish than any other angling technique. Use these tips and techniques to increase your productivity on the water this year. Paying attention to even the smallest of details will make you a better angler.